Just a quick post to update on recent acquisitions. 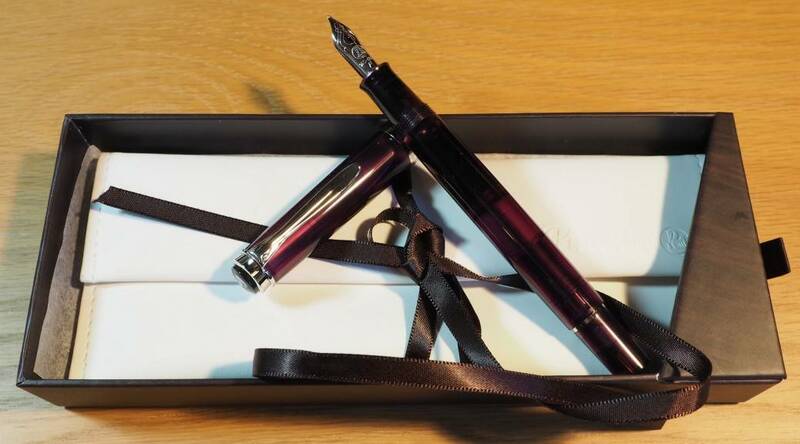 It shows how out of touch I got with the pen world in recent months that I missed the launch of the Pelikan M205 Amethyst, so when I saw a review recently it was an obvious choice for my next purchase. It has joined my modest collection of M205s, which I plan to review all together one day. 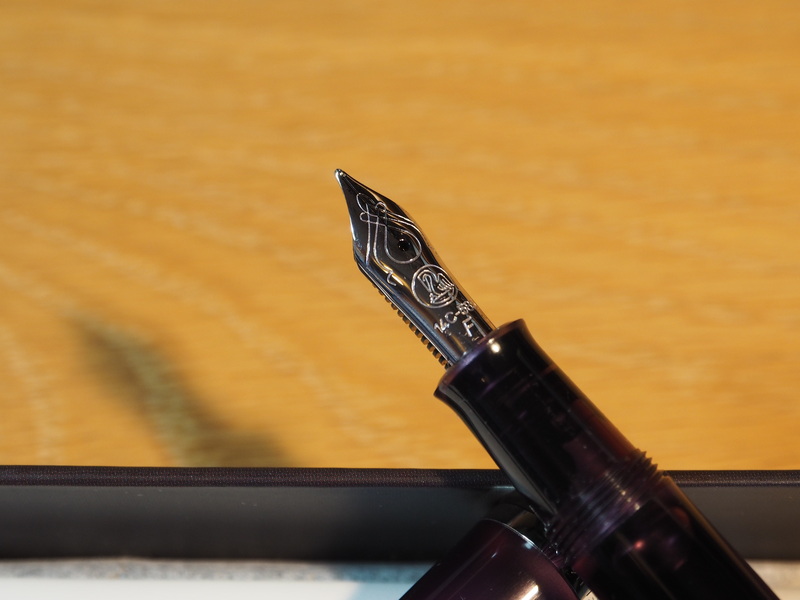 I even went for the Rolls Royce option of a rhodium plated gold nib, which was already on by “To Buy” list, and very nice it is too. A belated Christmas preent arrived a few days ago. 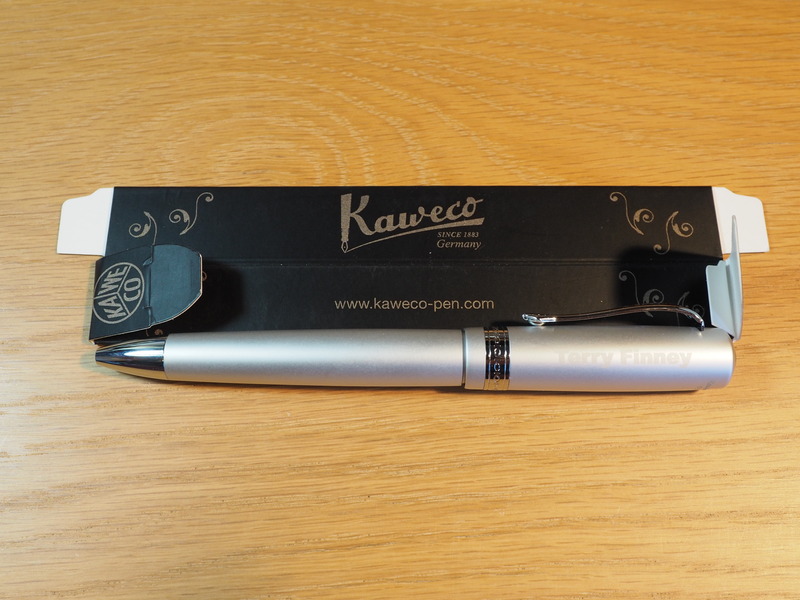 Kaweco kindly send me an Allrounder ballpoint pen, unfortunately as it was a surprise I hadn’t told them that my delivery address had changed since I last received a package from them, so it was returned. With admirable persistence they contacted me and resent the pen to the new address. Hopefully you can make out, despite the reflections on my rather sub-par photo, that it’s been personalised too. 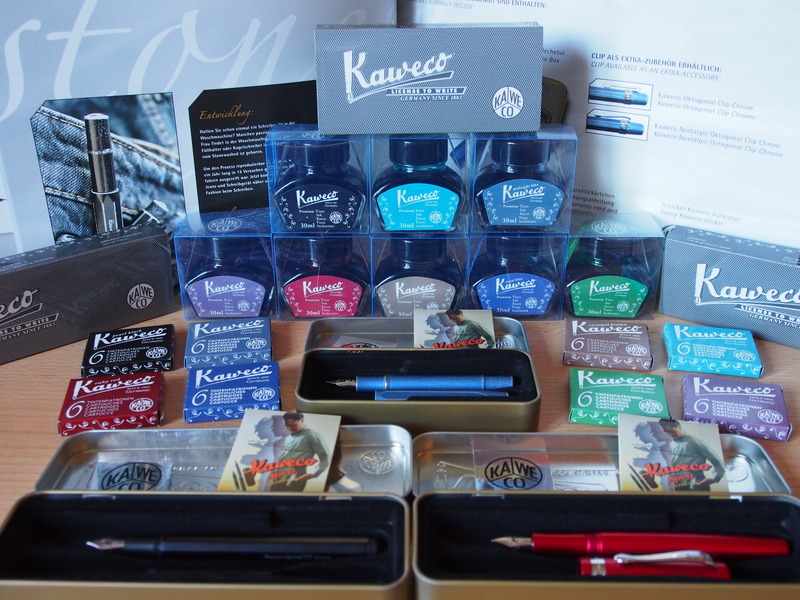 Thanks again Kaweco! The is my first point to use the Social Networks Auto-Poster for WordPress Plugin, to replace the Mailchimp Social Plugin which has been retired. It was a a bit of a challenge to setup and I’m not sure it the settings are optimal yet. I’ve also left the Mailchimp plugin enabled out of curiosity, so if two posts appear on Facebook and Twitter that’s the explanation. As always seeems to be the case with WordPress another issue has now arisen and I keep getting messages to refresh the connection of the Jetpack plugin’s link to Google+, even though I’ve done that multiple times, with no effect. Ho hum, that probably means the syndication to Google+ has stopped working, at least for the time being. 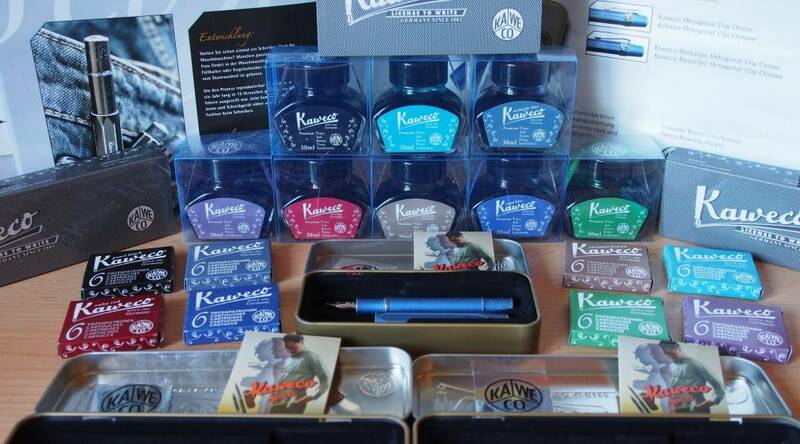 Along with the associated packaging for the pens, also included in the package was a full set of Kaweco ink cartridges, a full set of bottled inks, as well as a very nice printed catalogue. For the avoidance of doubt, I am not being paid to carry out the reviews, and I will be returning the pens afterwards. I do get to keep the inks. Once I have reviewed the pens, I will complete the current batch of ink reviews, then I will review the Kaweco bottled inks.